As a follow-up to Wyatt winning the Bank on Nebraska Challenge video contest, Wyatt surveyed his fellow students to get input on what the money should be used for. The student body convinced Wyatt to put the funds toward a soft serve ice cream machine. 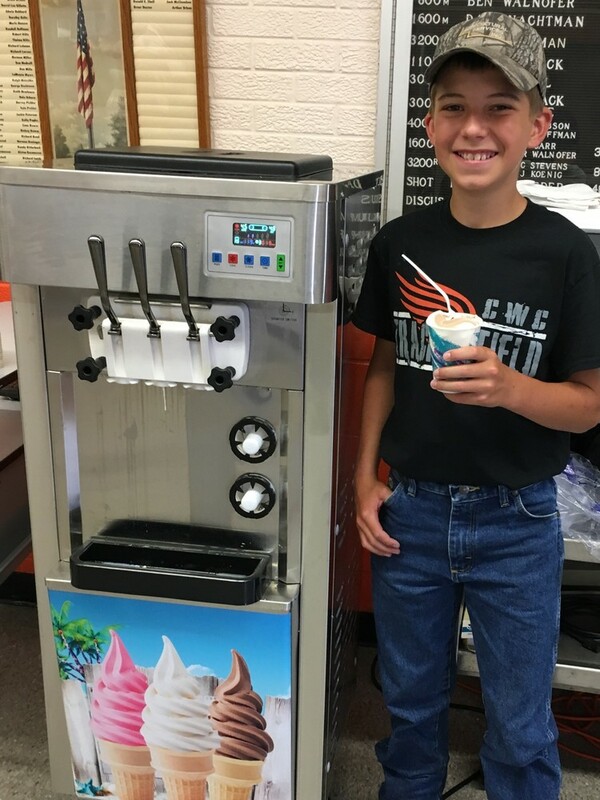 The new machine was delivered last week and the first batch was ready for a surprise treat during the summer reading program. Ice cream will be served after lunch on Fridays and will also be used during concessions at home events. Currently vanilla, chocolate, and swirl are the available flavors. Thanks Wyatt for your creativity and thoughtful donation!